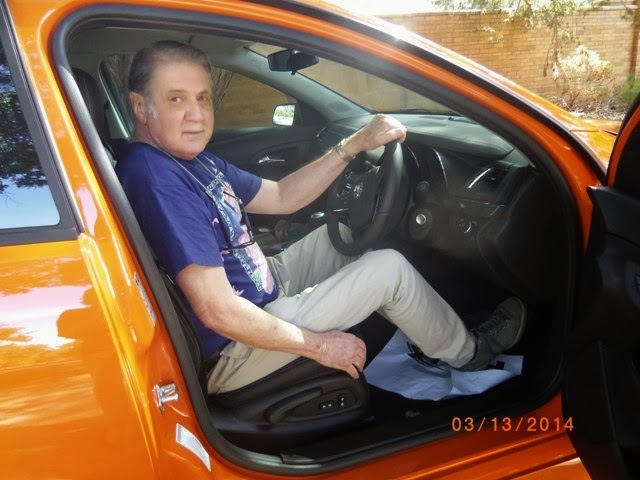 Patra's Other Place: Ken's new car. 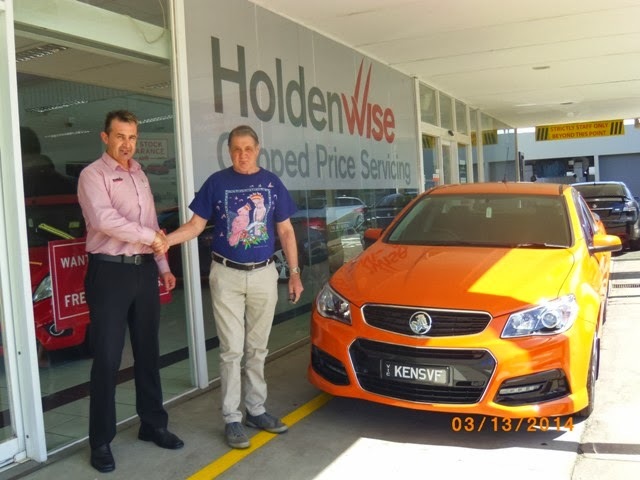 Ken has thought about buying a ute (utility) for years, but it was never the right time until now. There is just the two of us so he doesn't need a back seat for passengers (we can always use my car if we want to take extra people somewhere), and he has the money. For the first time in his life he owns a brand new car, not a second hand one! 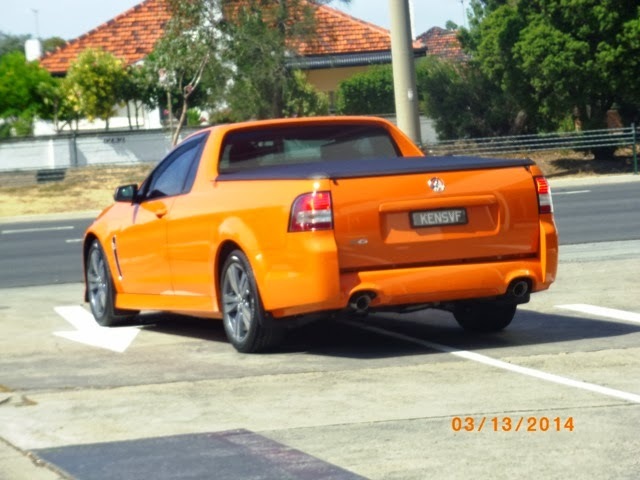 He traded his beige Commodore in on a Holden Ute - bright orange! Before we'd even pulled into to the driveway at the dealer, we saw his car waiting! 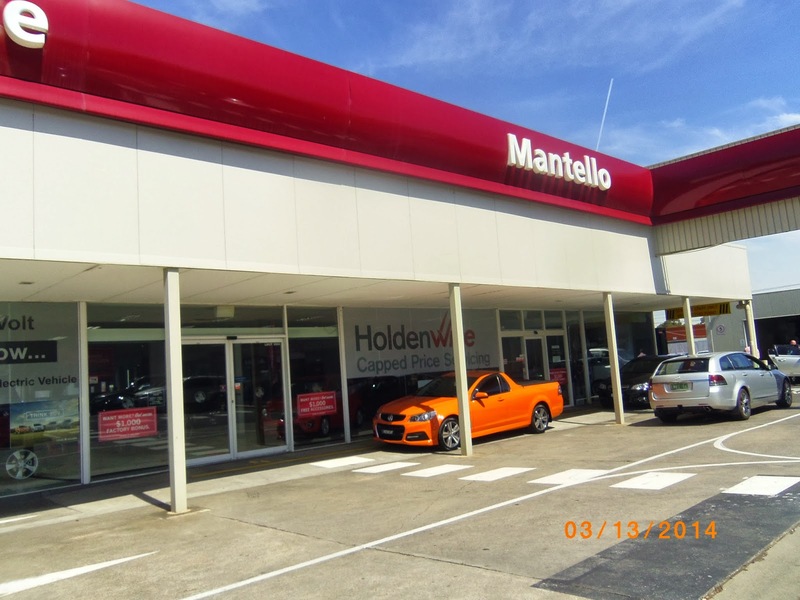 Going for a test drive with one of the salesman, to get the hang of all the electronic gizmos. Would you believe these cars can actually park themselves??? True!! Happy passenger! Note the personalised number plate: KENSVF. The model of the car is a VF, hence Ken's VF. Well that is a happy colour! And must be very easy to spot in a parking lot! Instant happiness! Wow that is a great colour for a car. Your hubby does indeed look like a happy chappy Gina. 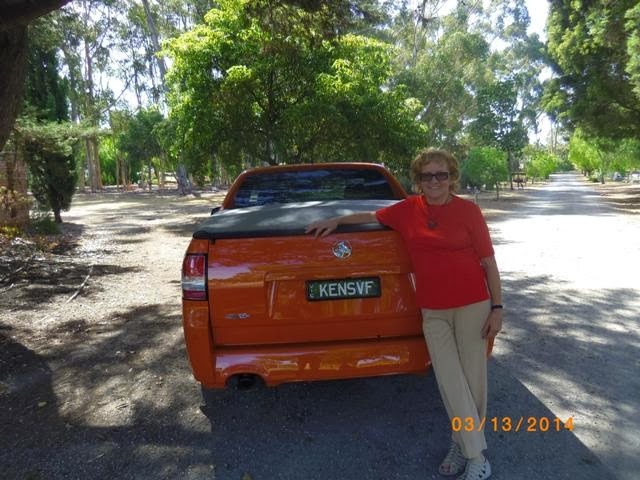 Hi Gina (Imarni DTE) I love the colour of that car! I am also married to a Ken. I remember at 7 years my Mum brought a Orange Sigma - I was so embarrassed of the bright colour, now at 43 I LOVE bright colours and think gee what a great idea! It's nice that life is so good for you now!